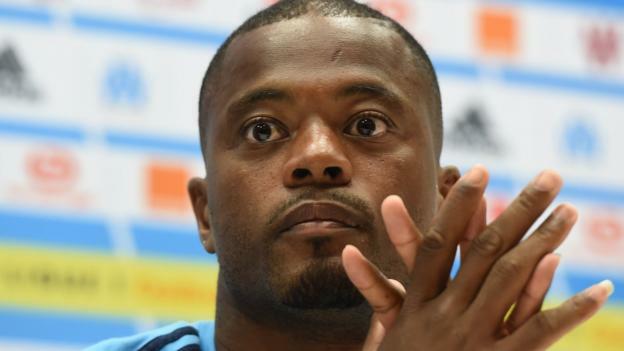 Ex-Manchester United defender Patrice Evra says "only God can judge me" after he was accused by Paris St-Germain of making "homophobic insults". This one seems to be rumbling on and on. I don't know the full story but it sounds like Evra has used a homophobic slur to insult PSG they/media are now trying to get him in trouble for using it. Now if he did use it he deserves to get pulled up it's 2019 that sort of stuff really belongs in the past however when you are a club that is owned by the ruling family of a country where homosexuality is a crime it's quite hard to take the moral high ground. I loved Evra as a player but he clearly has a very complex personality and he always seems to find himself at the centre of controversy. Comments like that assuming the reporting is correct is why he won’t get a role at Utd you just can’t talk like that and be stupid enough to post it online. Evra has a very strained relationship with the media in France he’s been public enemy number 1 many times for them but his reaction to the PSG win has just been weird feels so over the top seems he has some serious beef with them.